The following is taken from an office series of internal lunch and learn presentations called “Construction and Materials” designed to allow us to engage in meaningful discussions and share our expertise with each other. 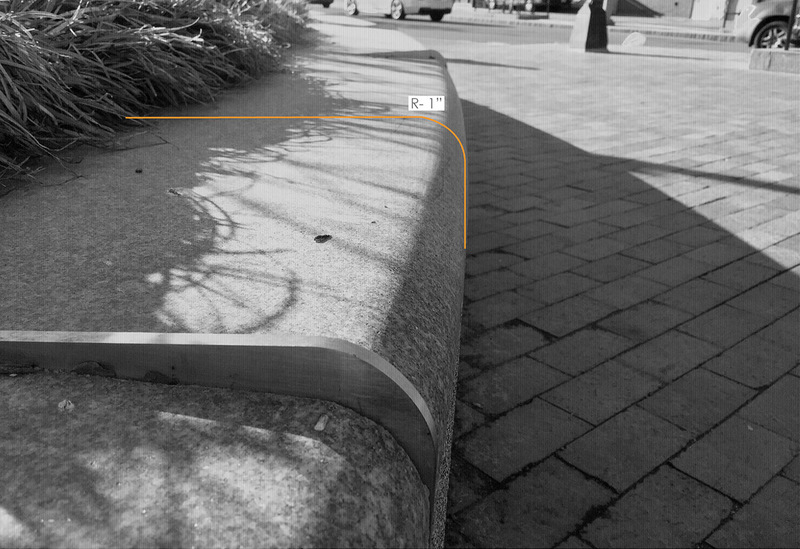 Although we respect and appreciate our skateboarding friends there are many areas in the urban realm that are not designed for skateboarding. 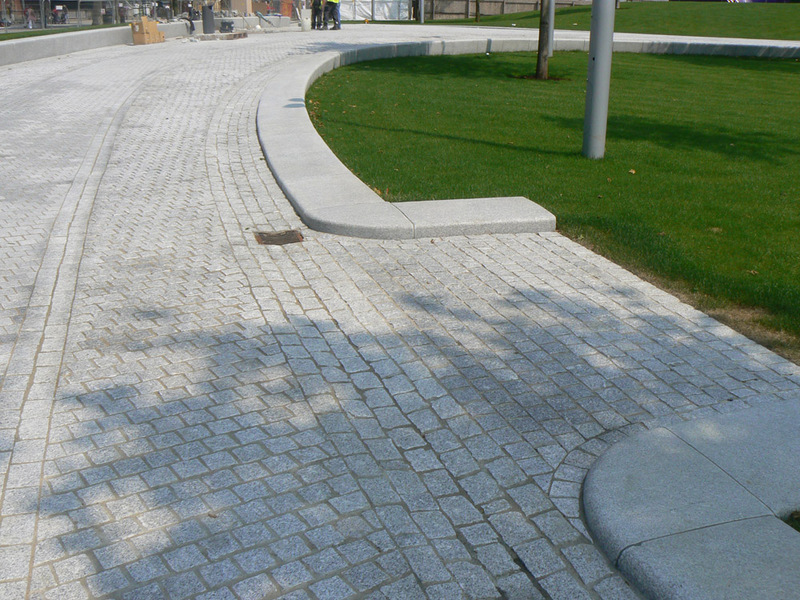 Therefore the spaces that we create as landscape architects which are not intended for skateboarding have proper deterrents to ensure protection against the effects of skateboarding and other wheeled sports. 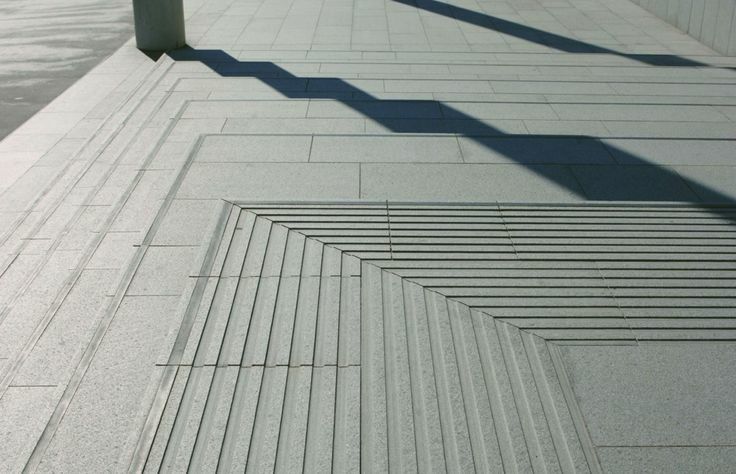 Designing against skateboarders has always been a challenge, with little information to rely on, a wide variety of products that simply don’t work, and deterrents that compromise the aesthetic integrity of the design intent. Our goal was to create a list of guidelines and recommendations that would prevent skateboarders and wheeled sports from using our spaces in a way that was not intended while protecting public health, safety, and welfare. 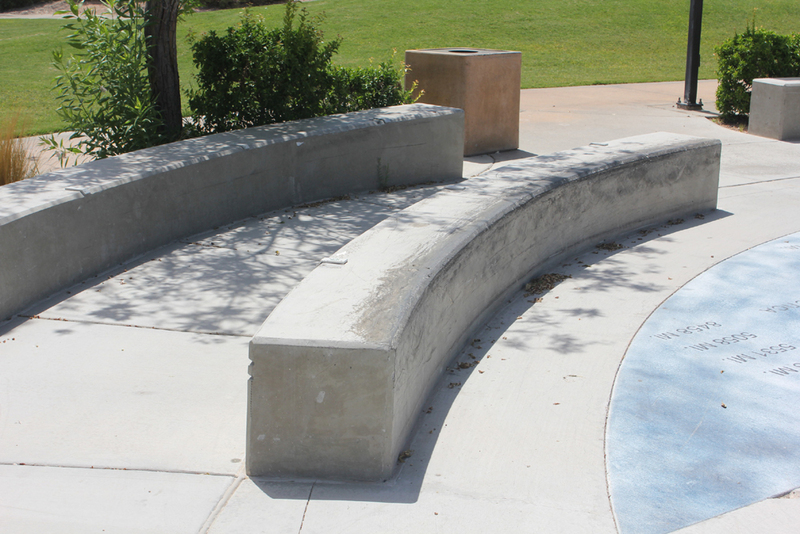 In his recent Construction and Materials presentation, Jarod Kershek, Senior Landscape Architect, shared with us his expertise on skatepark design. He presented the science behind skateboards, skatepark features, failed deterrent installations, successful deterrent installations, and recommendations for moving forward. Below are some of Jarod’s design recommendations. 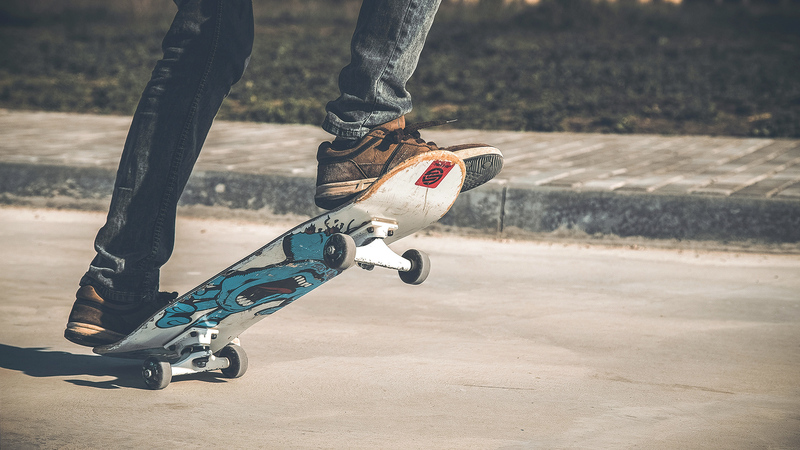 The average skateboarder prefers wall and handrail height of less than or equal to 18”, while the more advanced riders can skate walls and handrails at less than or equal to 3’. 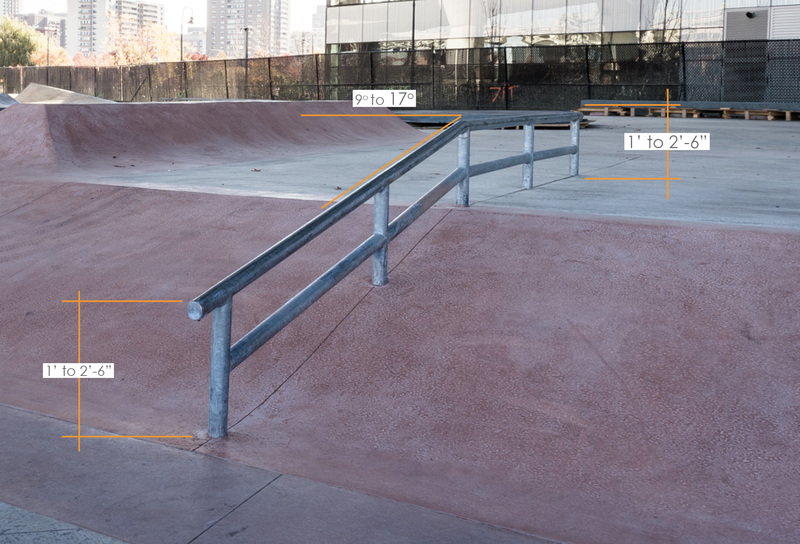 Therefore most wall and handrails 3’ and under could be susceptible to skateboard damage. 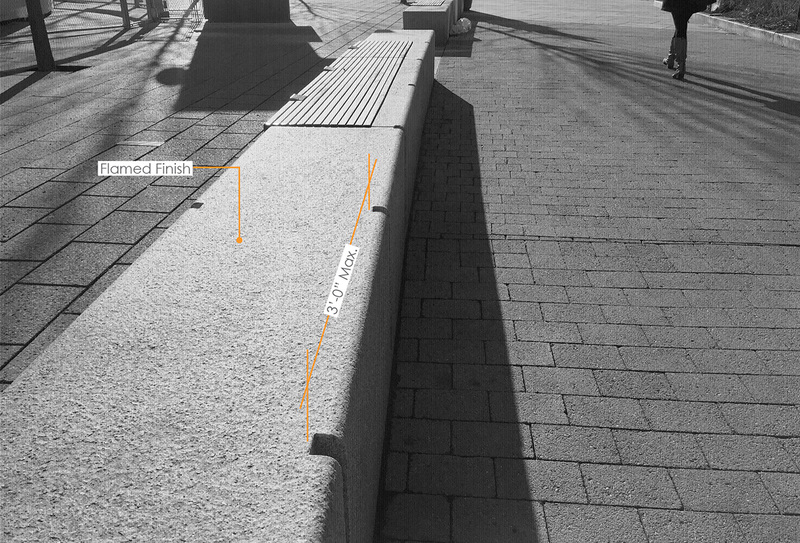 Site elements that have unobstructed access parallel or perpendicular to features tend to be more susceptible to skateboard damage. 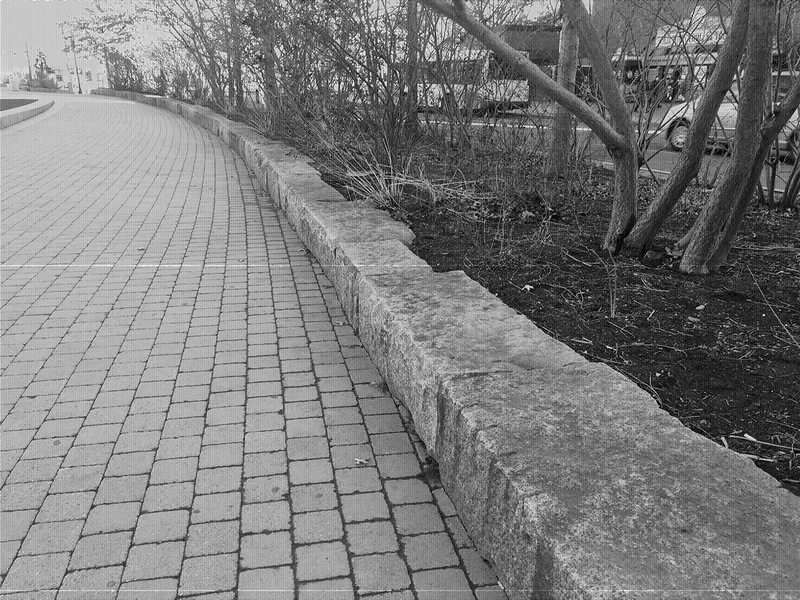 Rough or uneven wall/paving material can be natural skateboard deterrents. Edge conditions such as fins, notches, and bull-nose edge conditions prevent parallel sliding and grinding. The recommended spacing of vertical elements such as fins and notches is less than or equal to 3’ apart. 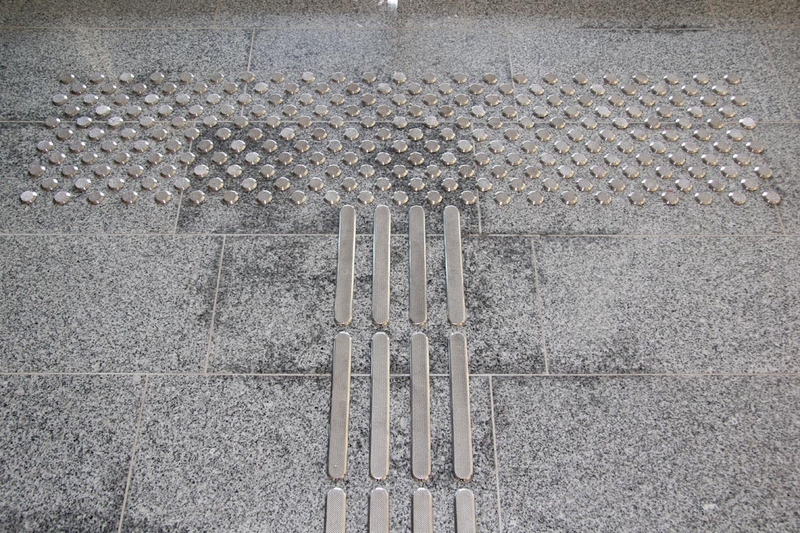 Paving elements such as expansion joints, detectable warning strips, and stainless steel studs that interrupt parallel or perpendicular access to site features can stop acrylic skateboard wheels when placed properly.